I hope you're not sick of these threads, since I noticed quite a few already exist. Rudy is a 3 year-old 42 lb. mutt, rescued from the Humane Society as a puppy. They called him a German Shepherd / Jack Russell Terrier mix, but told me it was just a wild guess. I had a DNA test done last year, but they didn't have many breeds to test yet... so they re-tested him last month, and I'm anxiously awaiting the results. If anyone guesses correctly, I'll give them a cookie - LOL. 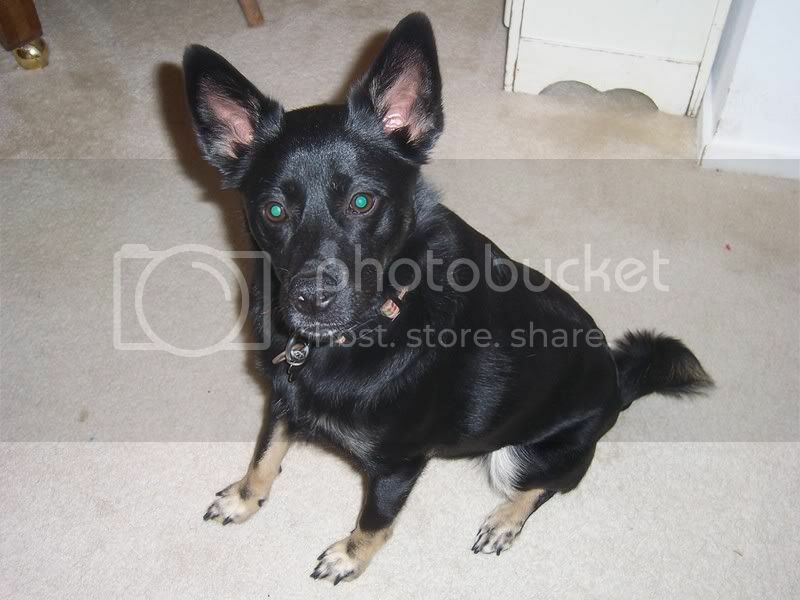 But seriously, I think Kelpie mix is a good guess. Maybe Kelpie x Shiba Inu? His body type reminds me of a larger, lankier Shiba, but his profile does look a lot like a Kelpie. Does he have a little underbite? I hope the DNA results make sense... I know some people have gotten results that are pretty much guaranteed inaccurate, but I'm sure it works for some. Those pictures are beautiful. I don't live too far away from SF, and there are a few members who live in the bay area. Welcome to Chaz! I definitely would say Kelpie cross. Yeah, he's not that big - just about knee-high to me, and I'm 5'5". Perfect size, in my opinion! Sounds like Kelpie is the guess so far... too bad they can't test for that yet, but I can suggest they add it. Isn't that an unusual breed around here, though? He was found in Los Banos CA, which is about 2 hours southeast of San Francisco. They do have a lot of farms out there, so maybe some have Kelpies for herding? Hmmmmmm. Just to be different...I'll say Shiba and Cattle Dog. CD because they are a HECK of a lot more common than Kelpies. I'm going to agree with HBH. Kelpies are extremely uncommon in the United States. 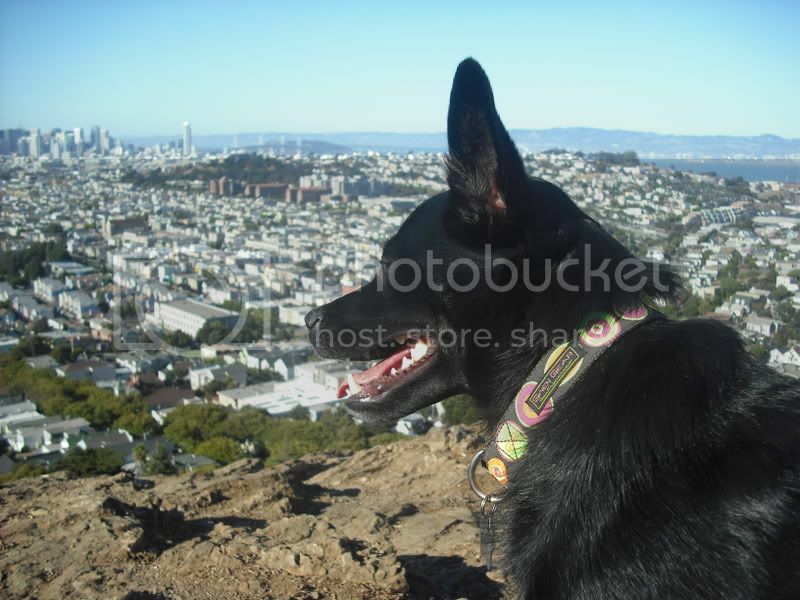 Rudy's head really does look like the Kelpie head photo but they truly are rare in the states. When I first saw the photo, I thought "Shiba mix". I am not sure what else may be in there though. It does look a lot like a kelpie. My grandmother took one in that showed up on her front porch. Chocolatey colored dog. Looks just like a kelpie. Sadly, she is way overweight and weights around 70 pounds. Very sad. I think Kelpie mix is a good guess. Maybe Kelpie x Shiba Inu? His body type reminds me of a larger, lankier Shiba, but his profile does look a lot like a Kelpie. ^^^ Exactly what I thought ... Kelpie/Shiba Inu ... and for exactly the reasons you stated!! Kelpies are extremely uncommon in the United States. If you're in the Eastern U.S. then yes, you're seldom if ever gonna see a Kelpie. But they're not uncommon in the far West. We live up by Lake Tahoe, many sheep and cattle ranches just a little east of here have Kelpies as herding dogs. Not all, but many of the ranchers don't spay/neuter their dogs so Kelpie crosses are pretty common here too. He was found in Los Banos CA, which is about 2 hours southeast of San Francisco. They do have a lot of farms out there, so maybe some have Kelpies for herding? That would be not too far from ("close" as in the country definition of "up the road a piece" ) some of the ranches that keep Kelpies as herders. Agree with TGR. Kelpies are pretty common on some farms and ranchs out west They make good ranch hands just like the Border Collie. I'd say Kelpie mix, too. In TX you never see kelpies around. That's what my guess would be. There's something about his head that makes me think of an Elkhound, so I do think there is some sort of spitz there. 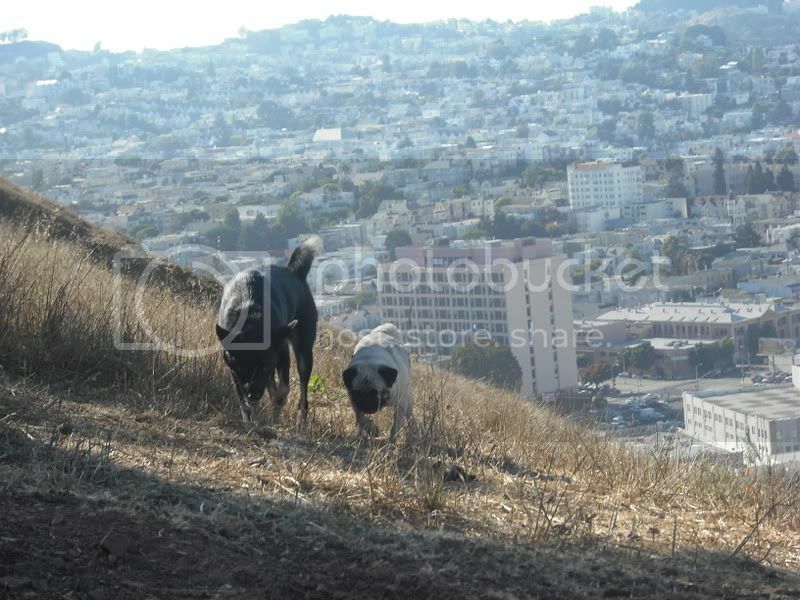 There are a lot of dog breeds in San Fransisco , including the rare ones. Shiba x ACD remains my guess, tho the folks guessing Elkhound could well be on to something. The dog is very square and upstanding like a Northern breed. 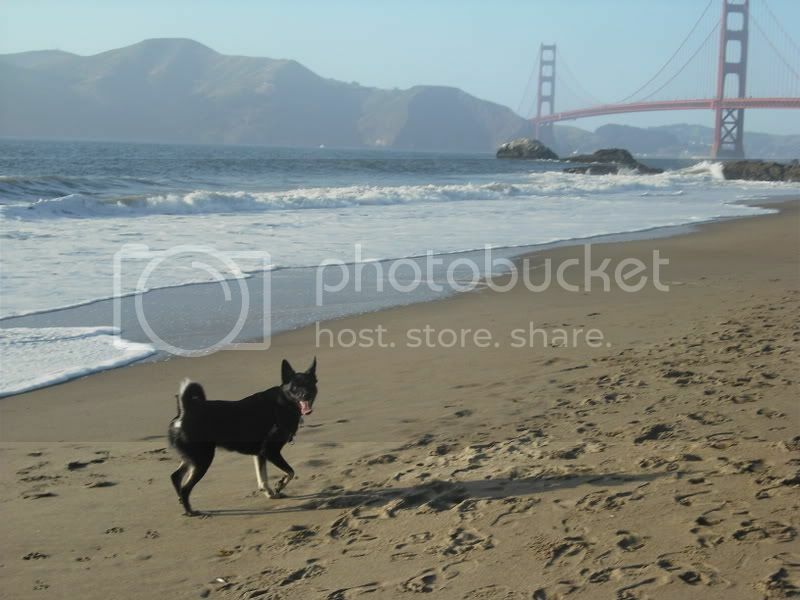 Thats interesting because my grandmother lived in California as well when her kelpie looking dog showed up on her porch! ACD was another breed I thought of even though they are a bit more stocky.